SAN DIEGO (KGTV) - Student who thought they were forgotten about after their school closed are being celebrated. 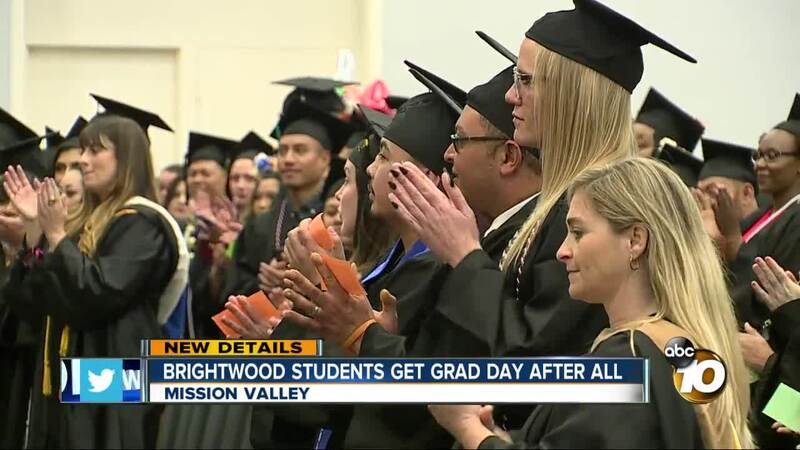 Brightwood College students were a part of graduation ceremony Friday despite their school suddenly ceasing operations in 2018 due to financial and accreditation issues. Town and Country San Diego hosted the graduation for free after hearing about the school’s trouble last year. “It’s really nice to be able to give these students a final send off,” Dr. Deborah Chow, a former staffer at Brightwood. More than 70 students received diplomas from the school that dissolved in December. “I don’t know if it’s even good for anything,” said Karlene Carpenter, a former student at Brightwood. Carpenter says the last month has been a learning experience for everyone and she is grateful for those who made Friday feel special. Former Brightwood staffers say they are working to find educational opportunities for students were still pursuing a degree when the school shut down.